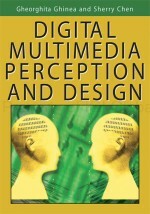 This chapter introduces a selection of studies relating to each of the multimedia senses — olfactory (smell), tactile/haptic (touch), visual (sight), and auditory (sound) — and how such studies impact user perception and ultimately user definition of multimedia quality. A model of distributed multimedia is proposed, to allow a more structured analysis of the current literature concerning video and audio information. This model segregates studies implementing quality variation and/or assessment into three discrete information abstractions (the network, media, and content levels) and from two perspectives (the technical and user perspectives). It is the objective of the author that, by placing current research in context of a quality structure, the need for fuller incorporation of the user perspective in multimedia quality assessment will be highlighted.